Chris Paul of Wake Forest was the only freshman to finish in the top 6 while stars could skip college completely to enter the NBA Draft (2002-2006). Paul improved Wake Forest by 10.97 points per game, more than enough to deliver narrow NCAA victories over VCU and Manhattan to take Wake Forest to the Sweet 16, and to defeat eventual Final Four teams Duke and Georgia Tech. Deandre Ayton improved to No. 2 in the rankings after being the MVP in seven of Arizona's last nine games according to www.kenpom.com, with his 11.07 points above replacement to deliver the winning margin over Arizona State, Texas A&M, Alabama and at Utah during the 8-1 run. With Trae Young still the best in the country, though not of the century after West Virginia's stifling defense knocked him down to 12.62 a points per game Value Add (points above replacement), this marks the only season except for 2008 when freshmen Michael Beasley of Kansas State and Kevin Love of UCLA finished in the top two spots. However, this season tops even 2008 as the only season in which three of the top six are freshman, due to Marvin Bagley, who CBS Sports Reid Forgrave pegs as the top pick in this summer's NBA draft. Bagley rested a total of three minutes in Duke's first three ACC games to surge up the rankings. Over the years many future NBA players showed their potential as freshman, but generally make so many freshmen mistakes (turnovers, poor shot selection, defensive liabilities, etc.) that their overall value is not as great as more disciplined juniors and seniors. So far, the three best freshman look like the exception as the get in their one season before all going as lottery picks in the 2018 NBA Draft. 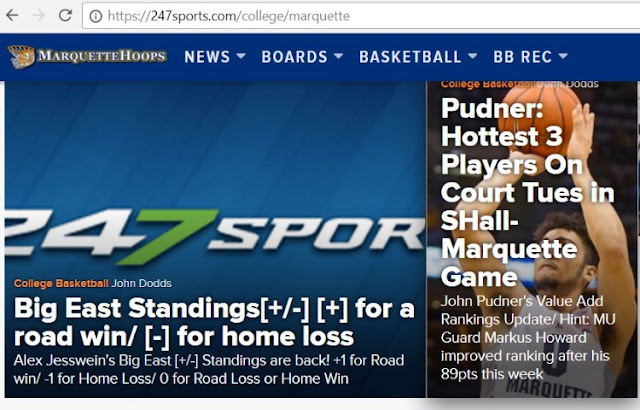 You can sort all 4,175 players by conference, class or team at www.valueaddbasketball.com and pull up stories at www.pudnersports.com or on this 247 site, part of the network greatly improved since CBS Sports took over.